Why Choose a Duratuf Shed? The Duratuf Sheds are our premium range of garden sheds with a 30 Year Warranty! The Duratuf Sheds are the only steel sheds to feature full internal timber framing and are the strongest sheds on the market which make them the preferred option in High Wind Zones. The Duratuf range include the Duratuf Kiwi and Duratuf Fortress brands which have a few minor differences, the Duratuf Kiwi feature sliding doors, gable roofs and also have the option of adding windows, where as the Fortress have hinged doors, sloping roofs and cannot have windows. Why choose a Duratuf Shed? read the 8 points below to find out. 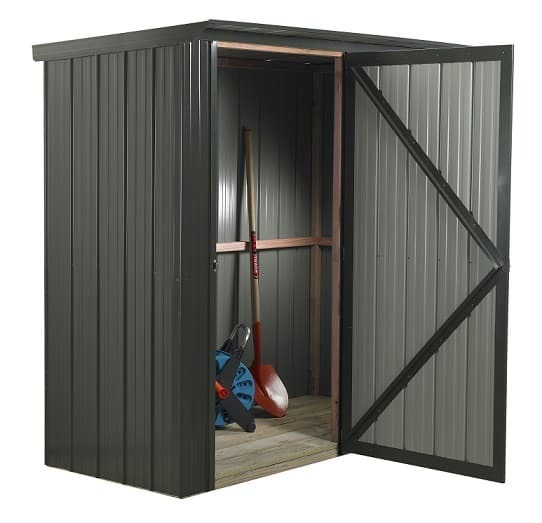 Made from 0.40mm gauge high tensile steel – this is the thickest gauge steel and is the only brand to feature this, most other garden sheds are made from 0.25-0.35mm gauge steel. 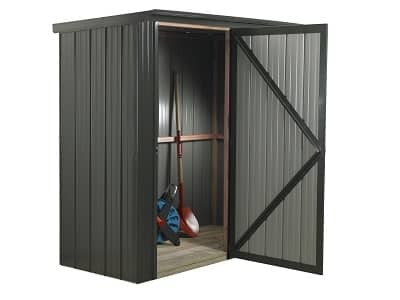 Why is this beneficial for a garden shed? It creates a stronger shed as well as minimizing the chances of it denting. The Duratuf Sheds feature full internal timber framing which creates a strong back bone for the shed and also makes it easier to attach shelving, tool boards and workbenches for the perfect workspace. Most steel sheds do not feature internal timber framing so it is very difficult to attach shelving etc and therefore the wall space is wasted. Fully Customisable! The Duratuf is one of the only brands of Garden shed that can be custom made, doors can be added and moved, the size can be altered as well as a large range of accessories available including windows! Due to their sturdy and robust structure the Duratuf sheds are the preferred option in High Wind Zones. The Duratuf Kiwi are the only sheds to feature easi-glide sliding doors, a great benefit in windy areas so the door doesn’t blow shut while you are trying to get in and out of your shed. 30 year warranty! The Duratuf sheds feature the highest warranty in NZ! NZ made in Hamilton, New Zealand! The Duratuf Sheds are made to withstand NZ conditions as well as being able to get replacement parts easy. 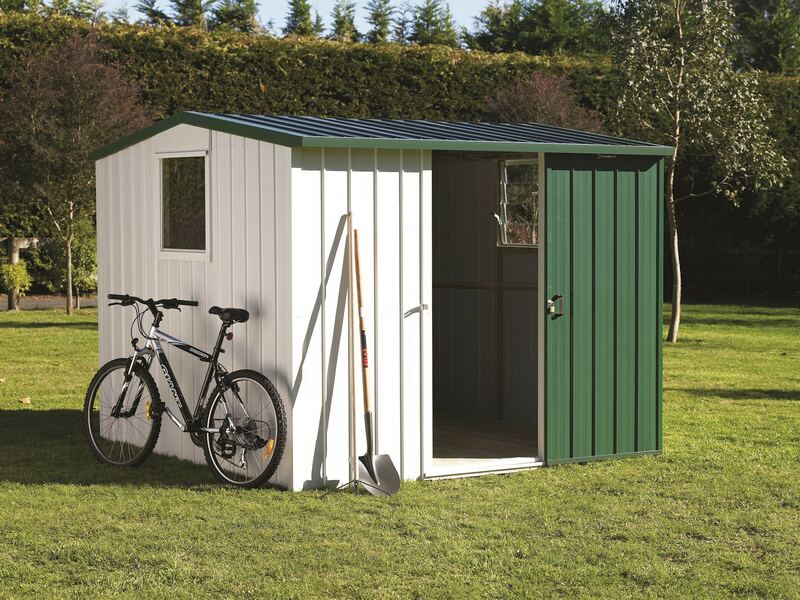 A terrific Garden shed that has many great uses, a top of the range storage shed for your valuables including your bike, motorbike, quad bike or ride on mower, or a perfect tool shed or workshop. The internal timber framing is great to create an organised storage shed or a perfect workspace. Check out the Duratuf Sheds online now!